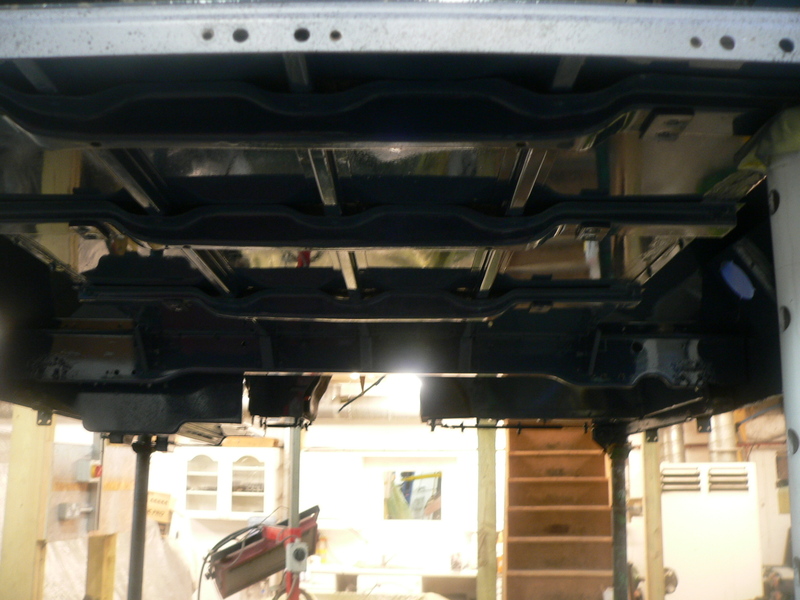 As we build up the chassis in the background, we look back to the body and how we can restore it properly, so far the entire underside has been covered in Waxoyl aside from the parts where rust has formed through. This took quite a lot of work to remove as Waxoyl is a difficult material, however we were able to peel it all back so that we could treat and paint the underside of the body. The painting we’d done is actually more than what would have been done in the factory, however we found it important to keep the integrity of the car along with ensuring it looks stunning from all angles.